The 1995 documentary Frantz Fanon: Black Skin, White Mask explores the life and work of the Martinique-born psychoanalytic theorist and activist Frantz Fanon, the preeminent theorist of the twentieth century anti-colonial movement. Starring Colin Salmon (Stalker) as Fanon and directed by Isaac Julien, the film weaves together interviews with family members and friends, documentary footage, readings from Fanon’s work and dramatizations of crucial moments in the theorist’s life. 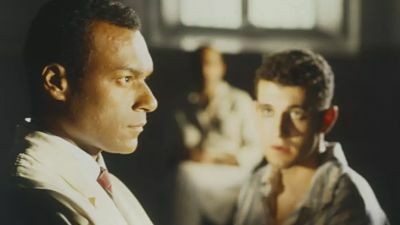 Also on board are cultural critics Stuart Hall and Françoise Verges, who position Fanon’s work in his own time and draw out its implications for today, placing Fanon at the center of contemporary discussions around post-colonial identity.